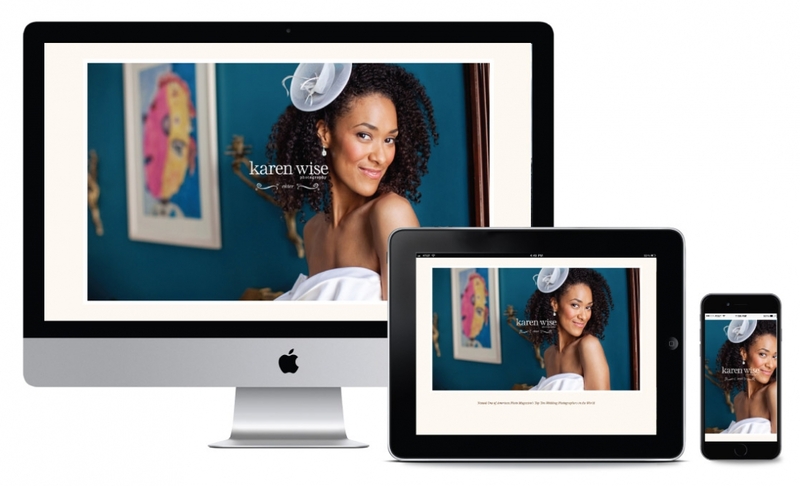 Originally designed by the amazingly talented Joy Cho of Oh Joy!, Karen and I worked together to take that same great look and convert the site into a responsive wordpress website. The previous version was in Flash. 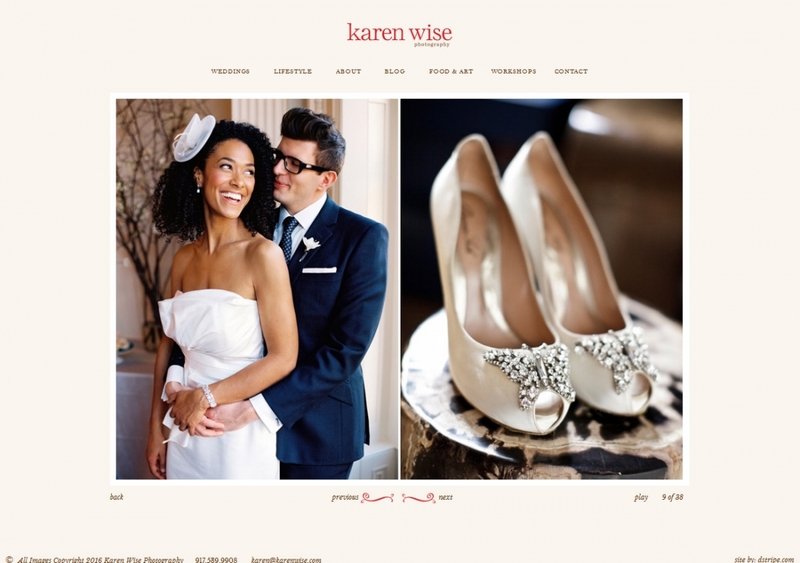 The site still starts with bold images and a simple enter button. 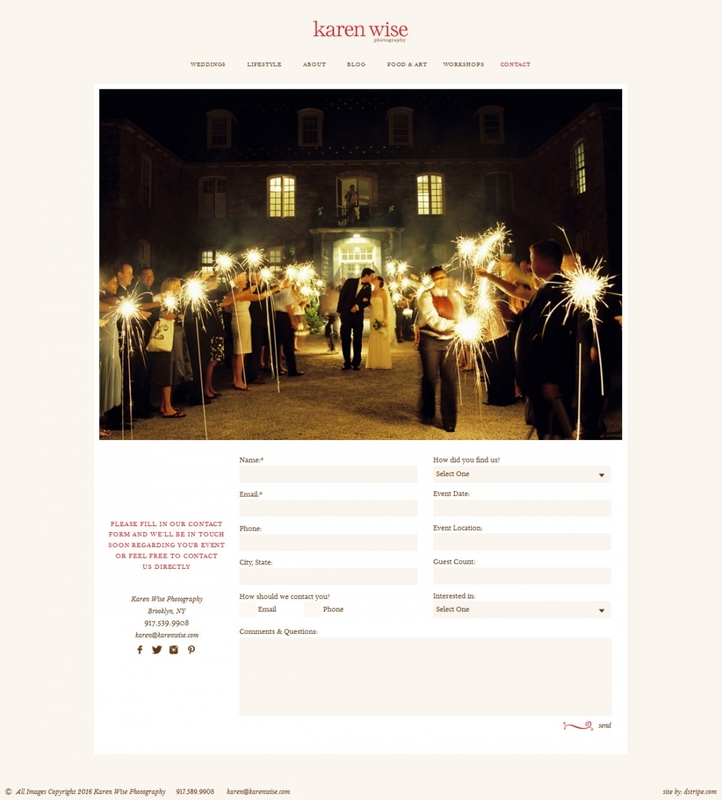 Once inside, each wedding gallery is introduced with a stunning vertical image of a couple. The galleries start with a list of vendors displayed over striking diptych images. 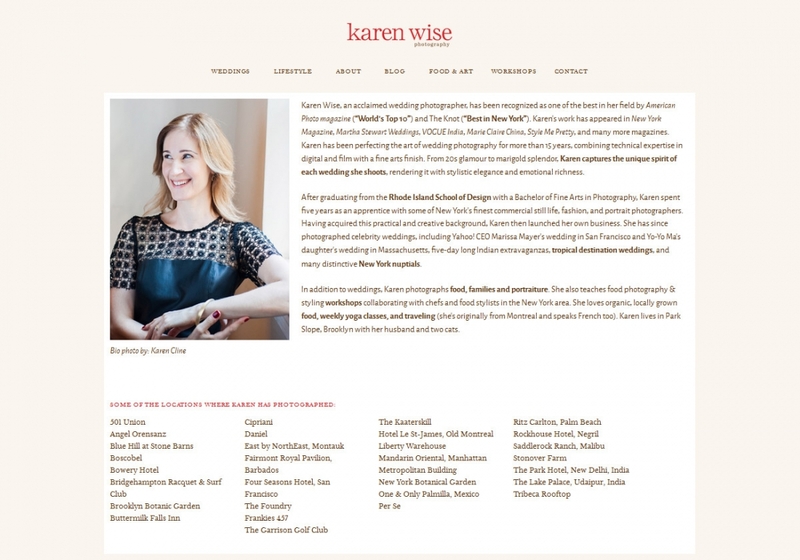 Karen’s about page offers links to press, praise and her bio. Before you even click a link, it’s obvious what a talent she is; a myriad of badges and awards are displayed. 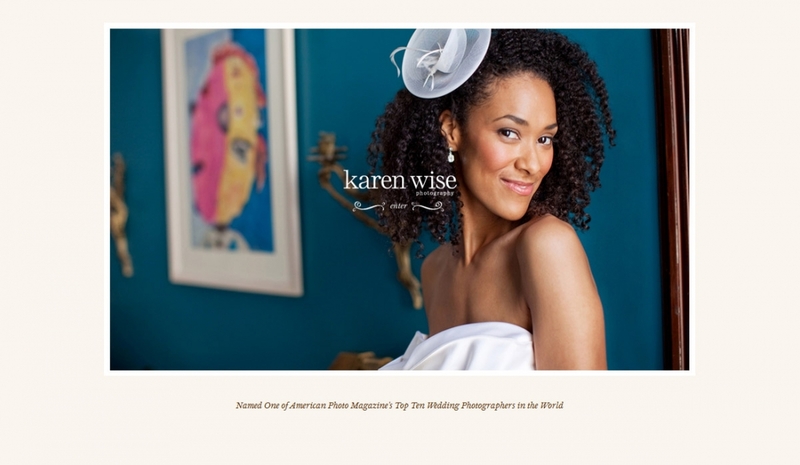 Clicking into “press”, Karen’s accolades are impressive with magazine covers that seem to scroll on forever. The praise page is another level of esteem with a many glowing testimonials next to photos of each couple. 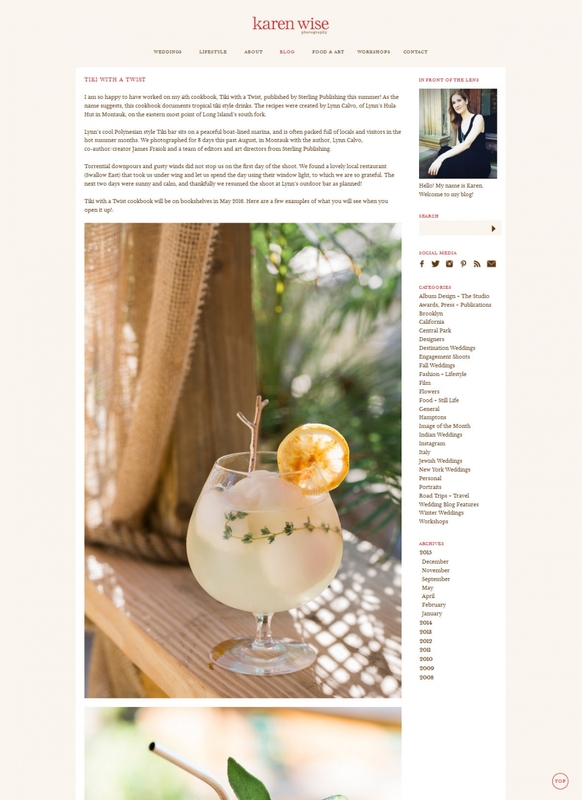 We imported all of her blog content into this new site, which kept her SEO intact. 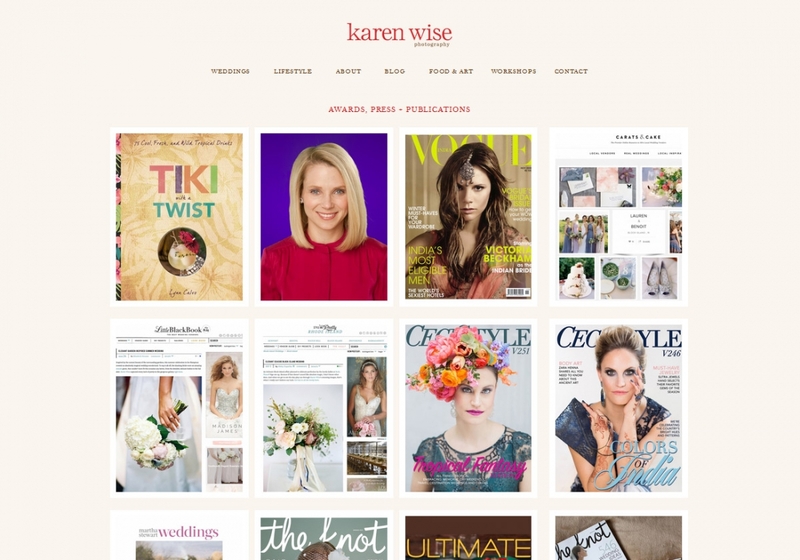 A history of her work, all in one place! 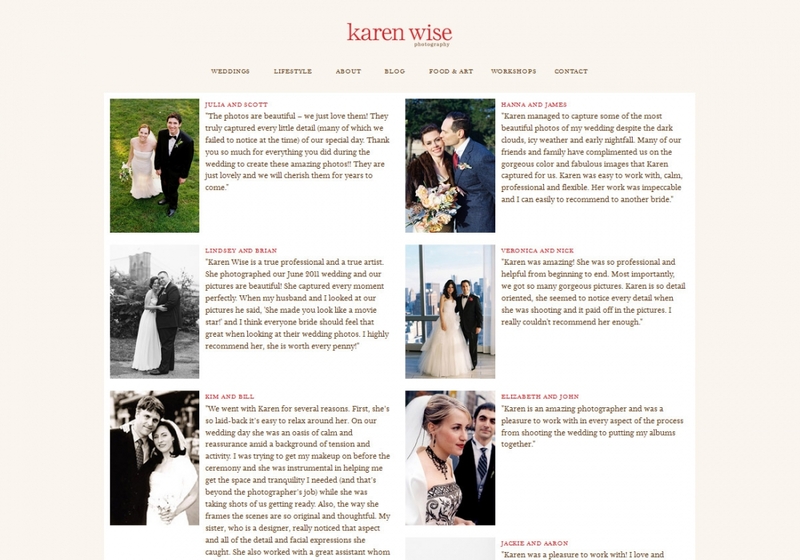 Deb Wagner, of dstripe, is an extremely talented and thorough web-programmer / designer. Not only is Deb technical, but she also has a great eye for design. 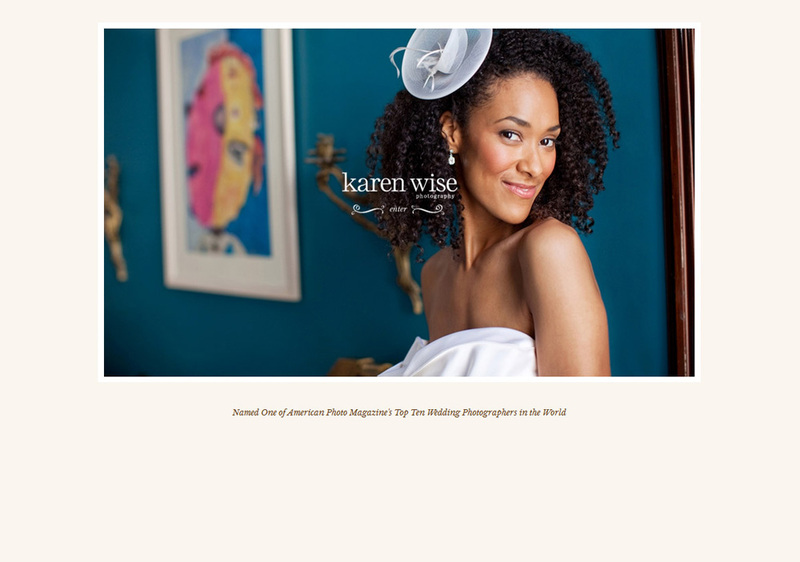 In re-designing my first website, KarenWise.com, I brought my own graphic designer in on the project. She was open to the idea, and collaborated well with the 2 of us. She was quick to answer emails and get onto conference calls, which I really appreciated - it showed that she really cared about the end result. 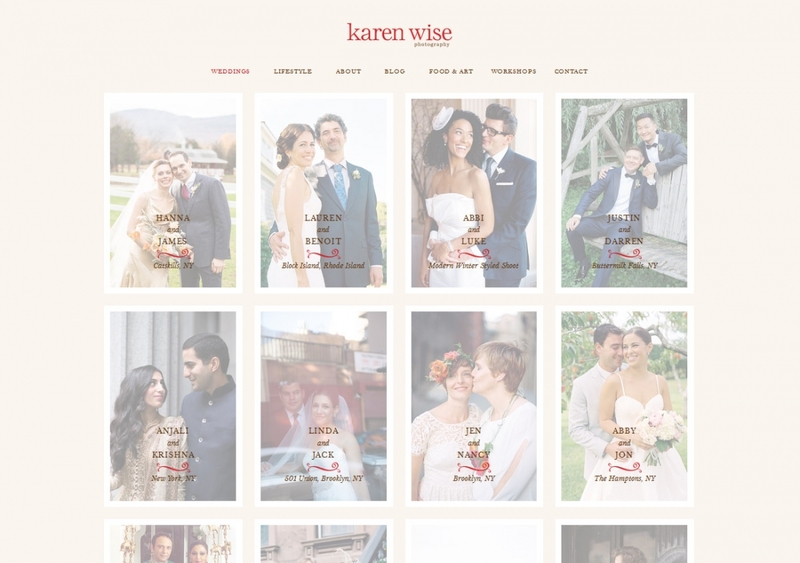 KarenWise.com was revamped page by page in a thorough manner, and in a relatively short amount of time, considering Deb's heavy workload. She took the time to explain every step of the backend to me, and gave me tips for managing my site and my email accounts. Any time I have any questions about anything, she is quick to reply to me. 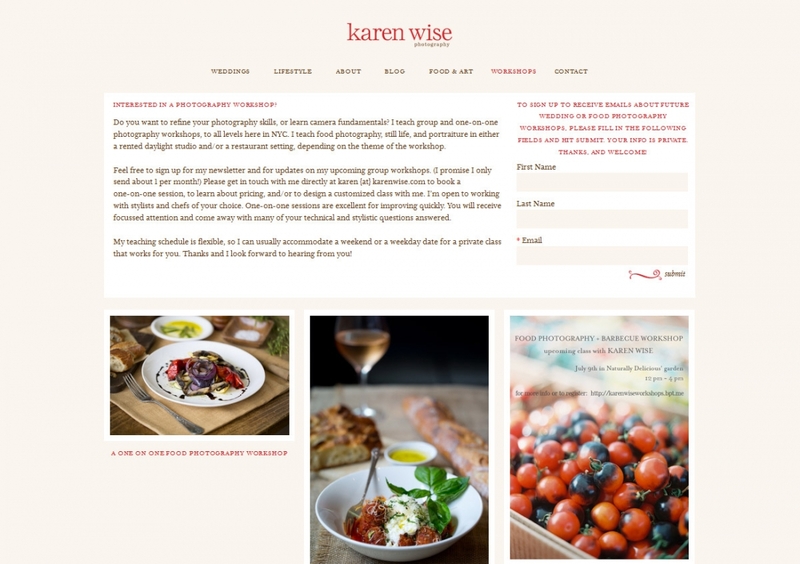 I loved the way Deb designed my first website so much, that I hired her to revamp my second site, FoodandArt.com. I love the way they both function, and I receive compliments often about the look and functionality of them both. 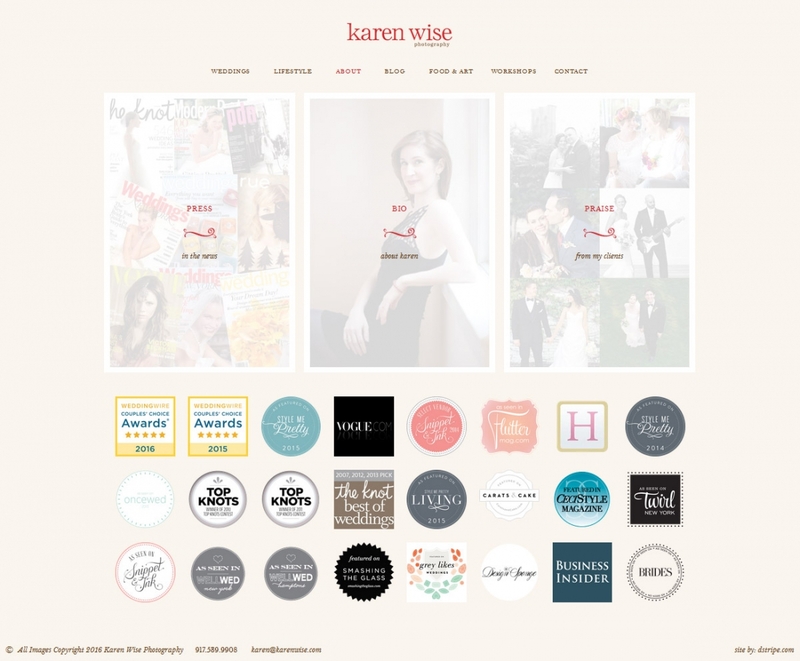 I highly recommend Deb for all of your web programming and website design needs.